Posted On February 26, 2013 by &filed under Legal FAQs. 01. Who can approach the redressal agencies established under the Consumer Protection Act for redressal of his grievances? A consumer, as defined in section 2(1)(d) of the Act, or any voluntary consumer association registered under the Companies Act, 1956 or under any other law for the time being in force or the Central Government or any State Government or one or more consumers where there are numerous consumers having the same interest, or in case of death of a consumer, his legal heir or representative, can file a complaint in writing alleging that an unfair trade practice or a restrictive trade practice has been adopted by any trader or service provider; or the goods bought by him or agreed to be bought by him suffer from one or more defects; or the services hired or availed of or agreed to be hired or availed of by him suffer from deficiency in any respect; or a trader or the service provider, as the case may be, has charged for the goods or for the services mentioned in the complaint, a price in excess of the price – (a) fixed by or under any law for the time being force; (b) displayed on the goods or any package containing such goods; (c) displayed on the price list exhibited by him by or under any law for the time being in force; (d) agreed between the parties; or goods which will be hazardous to life and safety when used are being offered for sale to the public (i) in contravention of any standards relating to safety of such goods as required to be complied with, by or any law for the time being in force of (ii) if the trader could have known with due diligence that the goods so offered are unsafe to the public; or services which are hazardous or likely to be hazardous to life and safety of the public when used, are being offered by the service provider which such persons could have known with due diligence to be injurious to life and safety; with a view to obtaining any relief provided by or under the Act. No format is prescribed for filing a complaint. A complaint can be filed even on plain paper. The services of an Advocate are not required. Complaints, where the value of goods or services and the compensation, if any, claimed does not exceed Rs. 20lakhs, can be filed before a District Forum where the Opposite Party or each of the opposite parties where there are more than one, at the time of the institution of the complaint, actually and voluntarily resides or carries on business or has a branch office or personally works for gain, or any of the opposites parties, where there are more than one at the time of institution of the complaint, actually and voluntarily resides, or carries on business or has a branch office or personally works for gain, provided that in such case either the permission of the District Forum is given or any of the opposite parties, who do not reside or carry on business or have a branch office or personally work for gain, as the case may be, acquiesce in such institution,; or the cause of action wholly or in part had arisen. In the case where the value of the goods or services and the compensation, if any, claimed exceeds Rs.20 lakhs but does not exceed Rs. 1 crore, in that event such a complaint can be filed before the State Commission having jurisdiction and in case where the value of the goods or services or compensation, if any, claimed exceedsRs. 1 crore, in that event the complaint straightaway can be filed in the National Commission situated at New Delhi. 03. What are the requirements for filing an Appeal against the orders of the District Forums to the State Commission? As per the provisions of the Act, any person aggrieved by an order passed by the District Forum may prefer an appeal against such order to the State Commission within a period of 30 days from the date of order. The period of limitation for filing the appeal is to be computed from the date of communication of the order to the aggrieved party. Proviso to Section 15 of the Act provides that the State Commission may entertain an appeal even after the expiry of said period of 30 days if it is satisfied that there was sufficient cause for not filing the same within that period. 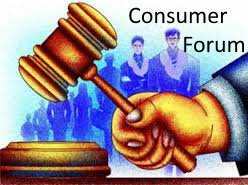 The procedure for filing the statutory appeal against the orders of the District Forums to the State Commission has been laid down in Rule 8 of the Delhi Consumer Protection Rules, 1987. In case the orders passed by the District Forum or by the State Commission, as the case may be, are not implemented, the aggrieved person has a right to file an Application for implementation of the orders, under section 25 and/or under section 27 of the Act, as he may be advised. My question is ‘Whether the parties to a Consumer Dispute are to be insisted to file original documents,or is it sufficient if copies of documents filed, to prove their respective cases? My question is we have land including house and well etc,as for total 7 members. The father and mother passes away 8 years ago there is no any written or oral testament or will. we want to distribute share to each other as per Muslim personnel law,but some of them object to distribute by Muslim personnel law they want to equal shares between them. some of them agree by Muslim personnel law regarding 1/3 of female 2/3 of male. I am a senior citizen.A consignment sent by my son in law from Dubai consisting of Sony Home Theatre,Washing machine,microwave oven,New Baby bicycle,and other household articles throgh M/s Gati roadways were received in a damaged condition. Ihave fied a claim for Rs/86000/-plus interest in the MSLSA on04/06/2009. After hearing both the parties, the forum advised to settle my claim for Rs.21000/ and odd .Though the O.P.agreed to settle the amount after consulting their seniorson 20.08.2009. but denied to settle my claims. hence a case number cc/759/2009 was filed in the consume Forum on 17.12.2009against the O.P. On 23.06.2010,the court sent a dismissal order with a liberty to file afresh complaint with the sam e cause and nature with a power of Attorney Etc. Accordingly afresh complaint was initiated against the O.P.on23.04.2011,bearing the complaint Number C.C/316/2011. Inthe meanwhile my advocate fell ill and did not turn up. The M.S.L.S.A.then arranged 3 advocates to plead for me. But one of them did not accept,that he is taking only SOUTH MUMBAI CASESanother stating that HE IS NOT TAKING UP consumer cases, and out of frustration, Imyself filed the said complaint 0n 23.04.2011 (with ignorance of legal knowledge) The O.P. is objecting for the delay of 10.months. But the president of the Forum is ready to accept an amended application with an appropriate reason. KINDLY ADVICE ME WITH ONE so that I can file afressh comlplaint using your legal opinion on on before 6,10.2013.I am suffering from B.P, Giddiness,High Sugar etc. Your early reply will be much appreciated &appreciated. can i file a complaint against a Bank for not paying correct pension despite orders from pension granting authority or delays of months and years in paying pension as ordered. If we have complaint from the service providers i.e. AIRCEL, AIRTEL or TATA Indicom for the one months delay in the activation to TATA Photon data card, to which, TRAI or Consumer Court, a complaint will be more effectively. Kindly advice. Attested copy,supplied by State Commission under RTI and attested by certifying authority having custody of original documents, is not treated at par with Certified one by NCDRC. What to do? 103 queries in 0.192 seconds.